The word is out! 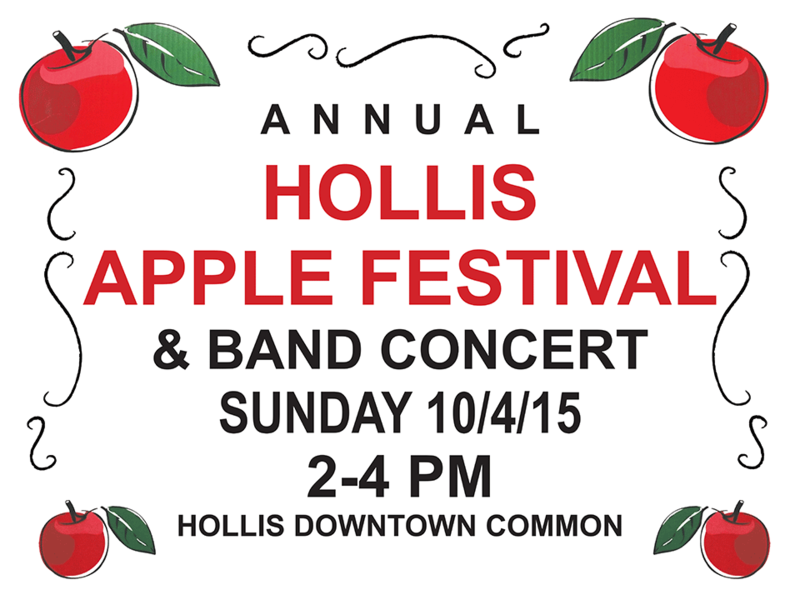 The 2015 Hollis Apple Festival & Town Band Concert will be held 2-4 p.m. on Sunday, October 4th on the Town Common. The rain venue is the Hollis Brookline Middle School. This quaint, small-town event is a celebration of the autumn season and everything that is good about Hollis. Hope to see you under the tent!